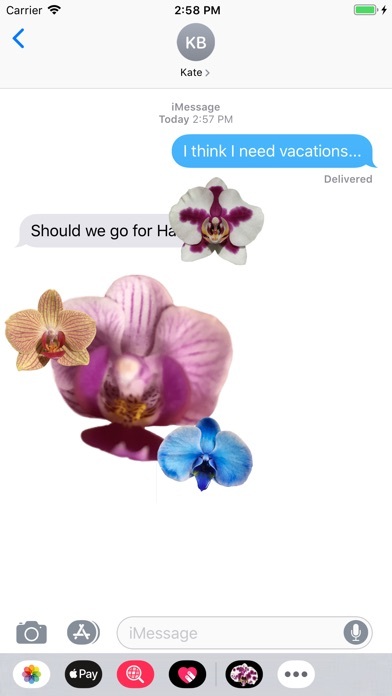 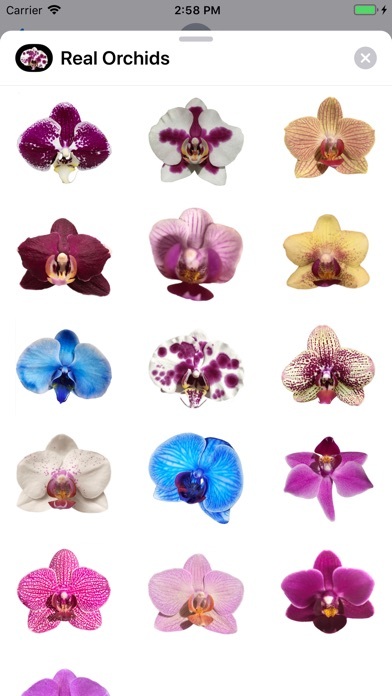 Enjoy the beauty of orchid stickers in your chats regardless if they are in iMessage or Whatsapp with direct access to the stickers. 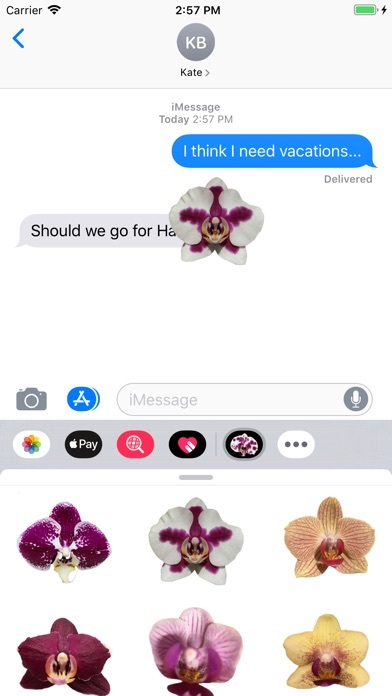 For other apps you can copy or share them directly from within the app. 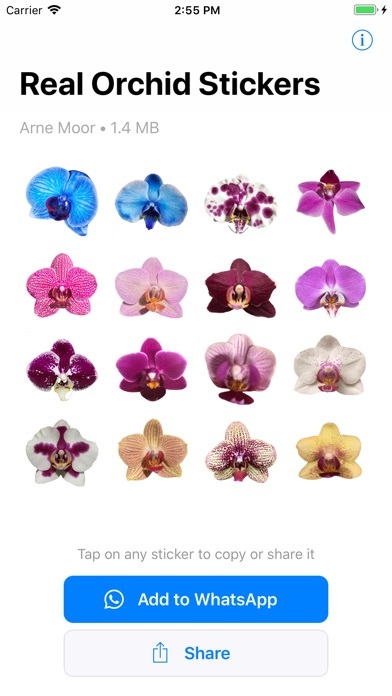 These stickers are made from 100% vegan and gluten free orchids that grow at my home.